Kao's Liese brand of Bubble Hair Colour released a new shade, Jewel Pink, sometime back. Yes, this is another slightly overdue review, because life has been somewhat busy and I'm catching up on my reviews. The Bubble Hair Colour is named as such because of the foam that is generated from the hair colour. Basically, the ingenious idea is that by using foam to dye your hair, instead of liquid, there will be less messiness and dripping! The Jewel Pink shade is supposed to be a light brown with a touch of pink. It really looks pretty. I work in an office, and my family is generally pretty conservative, so none of us have any inclination to dye our hair wild colours (I do appreciate creative colour in others though). But this looks like a lovely shade with a tinge of pink that could be worn to the office even. I'm including the colour chart on the back of the box, because I think it was actually quite accurate in our case. The colour chart on the Jewel Pink box. It's actually pretty accurate, as our test results show. When I say "our", I really mean not myself, but my mum. That's because I've never dyed my hair (shocker, I know), and I don't have any immediate plans to dye it. But my mum does DIY dye her hair various shades of brown on occasion, so as a casual hairdye user, she would be the perfect test subject to see how foolproof this mess-prevention foam was. Below is the contents of the box. It works like most hair dyes - you combine the colour and the developer, and then apply to your hair. But instead of liquid, the mixture dispenses as foam. Cool right? Sometimes ideas start out great but aren't properly executed. For the Kao Liese hairdye however, the bubble concept really worked in practice. When my mum used it, she found that the foam didn't drip at all (this was after me interrogating her multiple times, "Are you sure it didn't drip? Wasn't watery? Didn't have issues? Anything? "), and that she was able to get an even coverage of colour. She also found the smell bearable compared to other hairdyes she used previously. But enough with the photos. I know you'll want to see the final results, so here you are! To get the colour below, my mum used the entire bottle and left it on for 45 minutes (which is actually too long - don't learn from our example and stick to the box instructions!). But it must have worked (maybe our hair is very hard to stain), because the shade that came out was a shade similar to the model on the box. It is indeed brown with a tinge of pink! Kao Liese Bubble Hair Ccolour Jewel Pink: Brown, with just a hint of pink. It's a really lovely brown with a tinge of pink. Now I'm kinda regretting that I didn't dye my own hair myself, but let her do it instead! It doesn't look too pink at all. 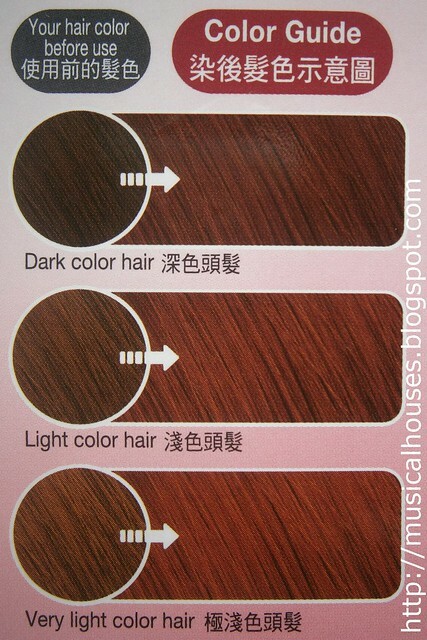 First and foremost, brown is the primary colour. The pink is just a slight tinge. The only negative feedback my mum had was that as the foam mostly sits on the crown of the head, so the crown of the head ends up being more brown than the ends of the hair strands. It looks fine though, if you look closely you can see the slight difference in colour, but it's not a big deal. Also, the dye does fade a ltitle when you wash your hair. So far my mum has been wearing her dyed hair for abiout 2 weeks now, and it looks good. 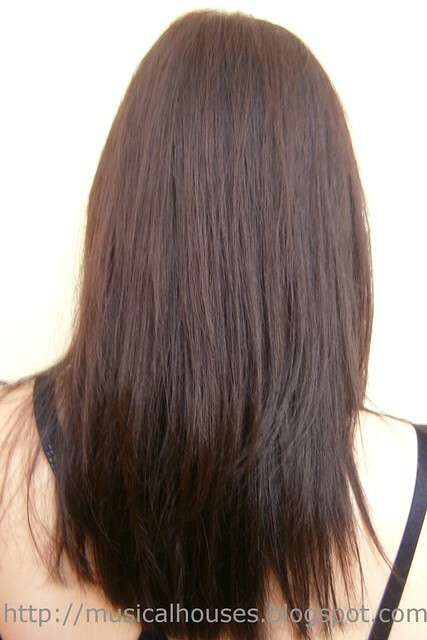 She also noted that her hair was dryer aftet the dye, but from the photo, you can see it still looks healthy. So, does the Kao Liese Bubble Hair Colour really work the way it's supposed to? I'd say that yes, it does - the foam was easy to use, and the colour came out quite accurately. If you like the hair colour my mum has now, and if you want a non-drippy way to dye your hair, this is the one to check out. Hmmm...interesting. I think this is a must try especially for people who loves to color their hair. I think foam is easier. I'll def check this one out.